It feels proper to start with a sincere “Happy Holidays!” and “Merry Christmas!” to all of our readers. Thank you for reading and commenting, and please continue to come along the ride with us. Last week Michael chose Children of Men. 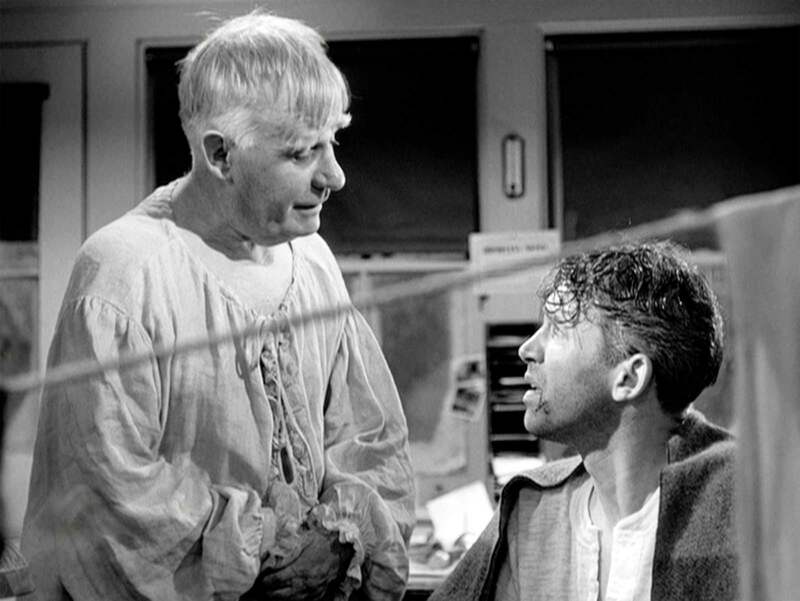 This week Aaron takes Michael out from under the proverbial rock to show him It’s A Wonderful Life. Aaron Hubbard: I picked this movie because it’s a rare film with a reputation that it totally deserves. It’s the perennial Christmas classic, but I think most of us take it for granted. Michael Ornelas: Yeah, this didn’t feel like a stereotypical “seasonal” film to me. This was a great movie that happened to be a Christmastime classic because of its setting. 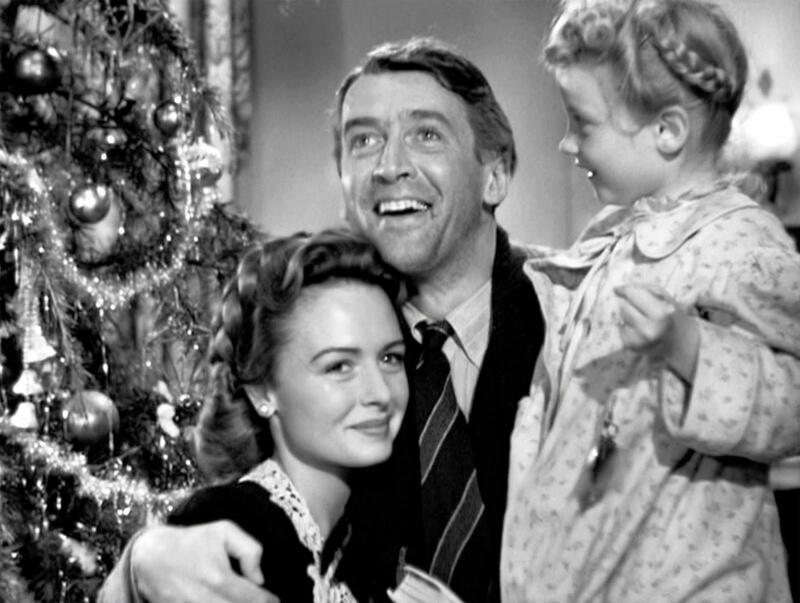 Aaron: Despite its iconic ending, the bulk of It’s a Wonderful Life is largely a downbeat film where bad things happen to people who deserve better. James Stewart plays a good, honest man whose defining trait is giving up everything he wants to help other people who need him. It obviously weighs on him, and the movie gradually shows him cracking. Stewart is the absolute best at playing this kind of noble character, but he also shows a darker side as the world beats him down. Life punishes the kind and selfless. Before the turnaround, this movie hits one of the most depressing lows I’ve ever seen. Michael: He’s such a pure and likable character that it makes that suicidal low resonate even more. I also liked the setup early-on (even if done in a hamfisted way) paying off later when we see what the world looks like without him. It romanticizes the idea that all of us have a much more profound impact on our surroundings than we’d ever imagine possible. Aaron: The whole movie is pretty hamfisted, but I don’t think that’s to its detriment. Frank Capra’s films tend to run on emotional logic instead of “logical” logic, which is one reason Stewart was the perfect person to play George Bailey. Capra already knew he could deliver the big speeches with Potter after Mr. Smith Goes To Washington, but we also see him subtly breaking. The emotional sincerity is palpable. Michael: Despite being a movie with dark themes, on the whole it’s a very pleasant tone. From the mid-40s up until the civil rights struggles of the 1960s (along with Vietnam), movies had this sheen to them. It’s a tendency we had between wars (look at how Fred Astaire’s pictures soared to popularity between WW1 and WW2). The title of this picture says it all, and it’s about appreciating what you have. It’s hard to feel like this wasn’t informed by the very constant threat of real loss during the second world war. Aaron: I think what really sticks out to me there is the sense of community in this town. While the story is focused on George, we get to know Bert and Ernie and Violet, not to mention George’s family. One of my favorite scenes in this is when the community agrees to take just enough money to get by in order to save the Building & Loan. It’s a great show of unity and sets up a huge pay off at the end of the movie. A lot of the film is about perseverance through financial trouble and standing in defiance of greed. George’s greatest treasures are his family and friends. That resonated pretty strongly with me this year. Michael: Aww, I treasure you too, friend! Aaron: This movie stands out for balancing scenes that feel very real and scenes that are far removed from reality. I feel like the last part of the movie could have come across as very jarring if the movie didn’t start out where it does. Having the omnipotent viewer perspective justifies the time jumps, and is even used for a great fourth wall break where the angels pause the movie. I compared the framing device to Citizen Kane, and while you couldn’t find two more different characters than George Bailey and Charles Foster Kane, the message is clear. Life can’t be summed up in a newsreel or an epitaph; it’s the experience that makes life what it is. Michael: Yeah it was only jarring at the outset, but once the film made its structure clear, it was easy to accept and to follow. It also set up an expectation for the entrance made by Clarence later in the movie (and despite not being in too much of the movie, he was one of the best parts). I also didn’t realize how well-executed the effect of Clarence disappearing underneath the cop who was trying to handcuff him was. For 1946, that was incredible. I didn’t even notice that it wasn’t a modern effect, which speaks to how well done it actually was. Aaron: I think this is also one of the unheralded aspects of the movie, especially in regards to its influence. Mixing the fantastic elements with a story that is all about celebrating the authenticity of the smalltown experience is a tough feat. I see a lot of this movie in Back to the Future and especially its sequel. The movie became a holiday classic by celebrating the best of humanity; kindness, self-sacrifice, standing up for our beliefs, perseverance through hardship, gratitude and a strong sense of community and family. Whatever your take on Christmas is, I think it’s fair to say those are well worth championing. Michael: I expected a run-of-the-mill Christmas movie and what I got was so much more. I really loved James Stewart (which Aaron warned me I would last week), and the whole thing was just well-executed. The emotional stakes felt at a constant high because we knew that it was leading to suicidal thoughts from the beginning, so I was invested from start to finish. Aaron: I’m not going to front; It’s a Wonderful Life is one of my favorite movies. I loved it the first time I saw it and I spent a lot of this viewing choked up. Sentimental hogwash? Maybe. But it’s the very best sentimental hogwash. Michael: I want more Jimmy Stewart. Make it happen! Aaron: I think we’ll look at least one of his Hitchcock movies next year. What is your favorite James Stewart performance? Michael: Next week we take a look at an underrated, overlooked mockumentary about beauty queens. This has been a favorite of mine since I was in middle school and it has some truly great moments. Aaron: Oh yay, my all time favorite genre. How considerate! Michael: If you actually did like it, I’d pick a lot more. 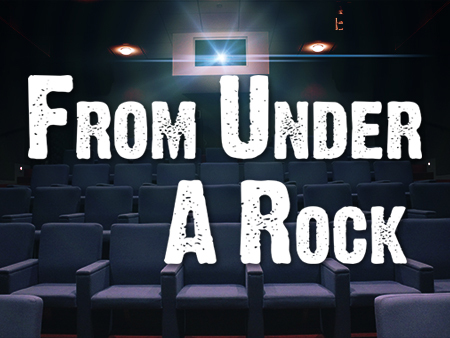 What other overlooked comedies should we check out? Check me out here to see my star ratings for over 1,000 films. Recent reviews include Home Alone, Avatar and The Last Jedi. 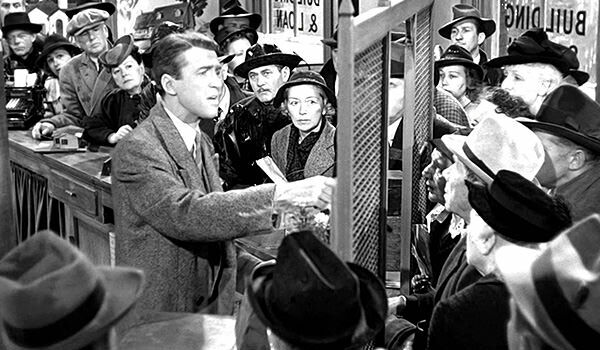 It’s a Wonderful Life has become a Christmastime staple, but we shouldn’t let that cloud our eyes to the fact that it’s a great movie on its own merits. James Stewart turns in an excellent performance while Frank Capra directs an emotional story with a unique framing that could easily have faltered in less capable hands. If you watch this every year, there’s no reason to stop. If you have avoided it because you hate joy, maybe give it a shot!